Late Sunday evening on the Las Vegas strip, a gunman shot from the balcony of a high rise hotel down at people attending a country music festival. 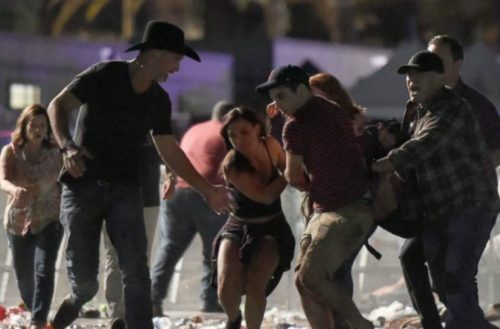 At least 50 people have been confirmed dead and at least another 200 have been injured in the Las Vegas shooting. That death toll makes this latest mass shooting the deadliest in US history, replacing the Pulse nightclub shooting in 2016. 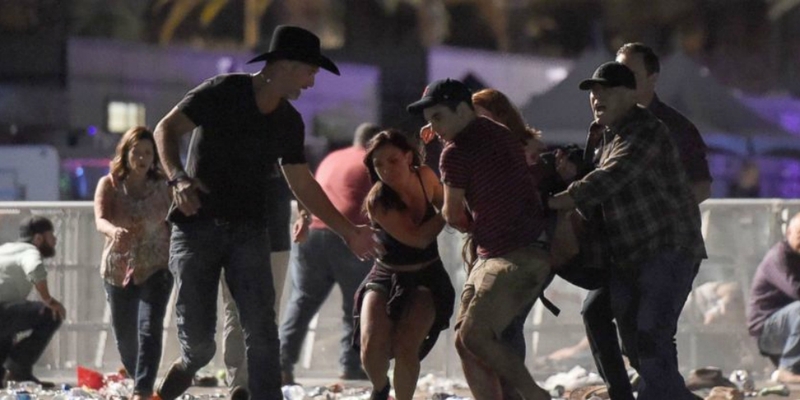 Police said an estimated 406 people were taken to area hospitals after the Las Vegas shooting. The gunman, identified by police as Stephen Paddock, was later found dead by officers on the 32nd floor of the Mandalay Bay Hotel and Casino, Sheriff Joseph Lombardo said during a news briefing. Officers determined that the gunfire was coming from the 32nd floor of the Mandalay Bay Hotel and they engaged Paddock there. Paddock was found dead in his hotel room by Las Vegas SWAT officers who responded to the call about the shooting, police said, and they believe he killed himself shortly before they arrived. U.S. President Donald Trump tweeted his “warmest condolences” to the victims of the Las Vegas shooting and their families. Aldean posted about the shooting on Instagram. Before yesterday, the deadliest mass shooting in U.S. history was the shooting at the Pulse Nightclub in Orlando, where 49 people were killed after gunman Oma Mateen opened fire during a Saturday night Latinx dance party and drag show.